Discover winning strategies, secrets, and more for Nintendo’s Splatoon 2 on Switch. The sequel to 2014’s hit Wii U game, Splatoon 2 for Nintendo Switch is loaded with game modes and features. A campaign, online and local multiplayer, collectibles to discover—Splatoon 2 has something for everyone. Consider this guide your starting point. From here, you’ll find tips and tricks, step-by-step directions to collectibles, and much more. Why run when you can swim? To activate squid mode, paint terrain with your ink and then leap into it to swim, moving at a greater rate of speed than on foot and under cover as well. While in squid mode, press the B button on your Joy-Con or Pro Controller to leap out of your ink. Leaping is good for areas such as steep roads and hills. 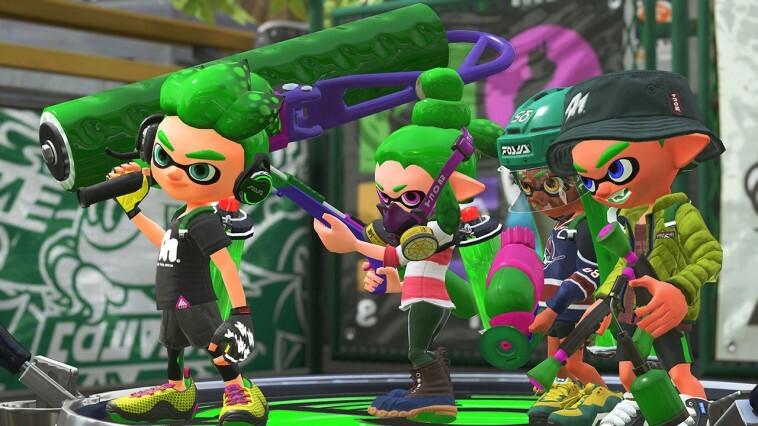 Splatoon 2’s single-player campaign and multiplayer modes support each other, in that strategies you learn in one setting can be used in the other. But you don’t have to finish the campaign to play online or locally with your friends. Bounce between the two as you like. Taking full advantage of the Switch’s portability, Splatoon 2 offers Internet play. If you can connect to an Internet connection while traveling, you can play matches in Nintendo’s inky shooter. Learn how to beat the Neo Octostomp, the third boss battle in Splatoon 2, located in Beaker's Depot. Even finding the Octo Oven in Splatoon 2 requires you to locate three Zapfish, but we'll take it one step further and show you how to defeat this boss found near the Tentakeel Outpost area. Check back soon for our Splatoon 2 gear and collectible guides. If you're not interested in using motion controls while playing Splatoon 2, this guide will walk you through turning them off. You're welcome. This guide will show Splatoon 2 players how to unlock all nine Hero weapons for both single-player and multiplayer. Finding Hero weapons in Splatoon 2 is one thing, but it's also important to upgrad them. This guide gives you a full rundown on how you can make that happen.